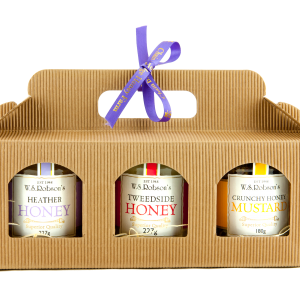 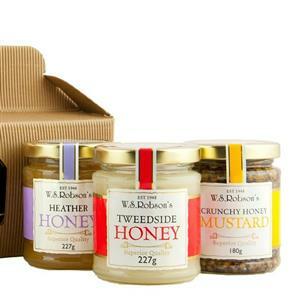 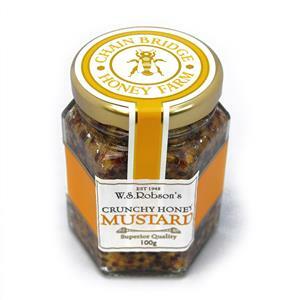 Honey farm employee of many years Mary Hastie developed our delicious Crunchy Honey Mustard, containing whole mustard seeds and no less than 45% honey. 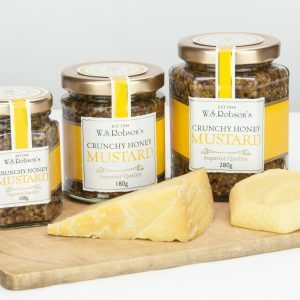 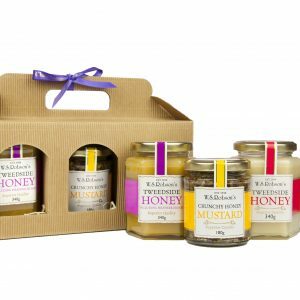 The mustard seeds are pickled in vinegar prior to having the honey added, so the mustard itself is like a tangy sweet pickle, ideal for ham or cheese sandwiches or perhaps to add to a creamy sauce to pour over chicken. 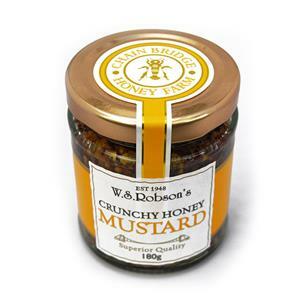 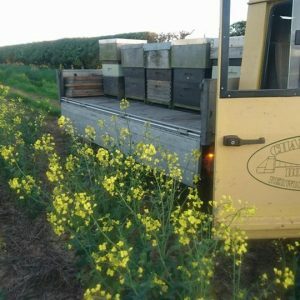 If you’ve been fortunate enough to dine in our cafe bus here at the honey farm you may have tasted the Crunchy Honey Mustard in our one of our yummy Ham and Honey Mustard sandwiches.